Dr. Bruce Cline graduated from University of Houston College of Optometry in 1986. 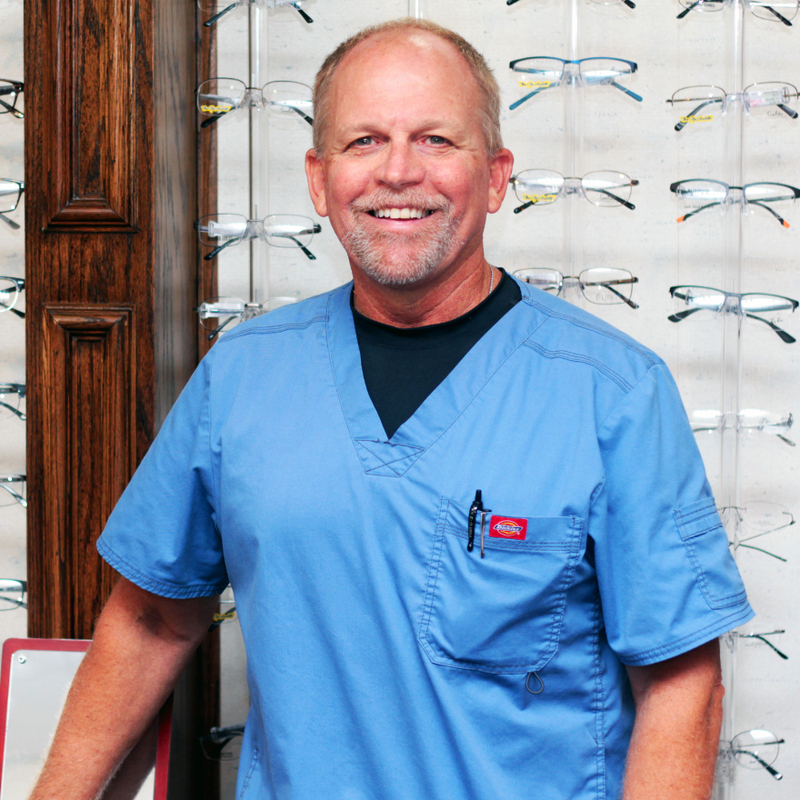 He has owned and operated Bay Area Eye Center in Pearland for over 26 years. Dr. Bruce Cline has over 26 years experience in fitting specialty contact lenses, including hard and soft contact lenses. A few of his contact lens specialties include: multifocal/bifocal lenses, astigmatism/toric lenses, keratoconus lenses, and post-surgical lenses. He is an advocate of refractive surgery including LASIK, Intralase, PRK, and multifocal cataract lens replacement procedures such as Restore and Rezoom. Dr. Bruce Cline also has a gift for working with children and persons with special needs. Dr. Bruce Cline grew up in the Friendswood area and has dedicated his life to serving the Bay Area by saving and correcting vision. He lives in Friendswood and is active with his church. He enjoys competitive team roping and playing golf. He also loves spending time with his wife Sharon, their six children, and four grand children.